Machine Gun Kelly took out his hatred for Eminem on a poor fan by destroying his own autograph after someone mentioned the Rap God. The pair have been feuding for years, with a seemingly never-ending series of social media posts and diss tracks forever adding fuel to the fire. 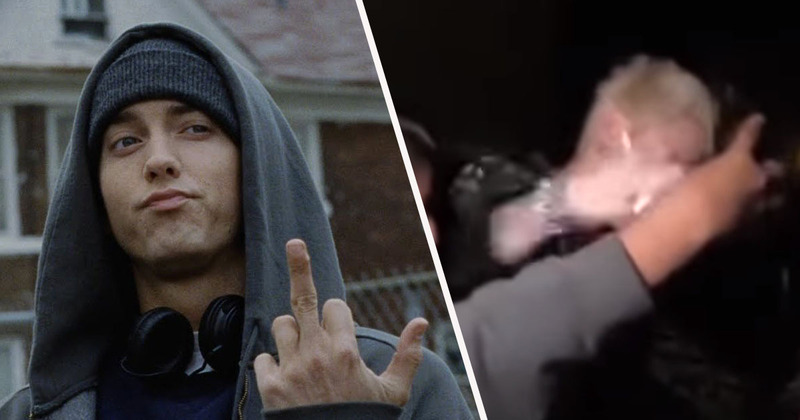 The latest battle in the rap-war began when fans at an Eminem gig in Australia requested the 46-year-old play his song Kill Shot, a track slamming MGK which he released last year in response to Kelly’s song Rap Devil. He refused to play Kill Shot, reasoning he couldn’t ‘give that c**ksucker any more f**king light’. Brisbane, did y’all enjoy yourselves tonight? 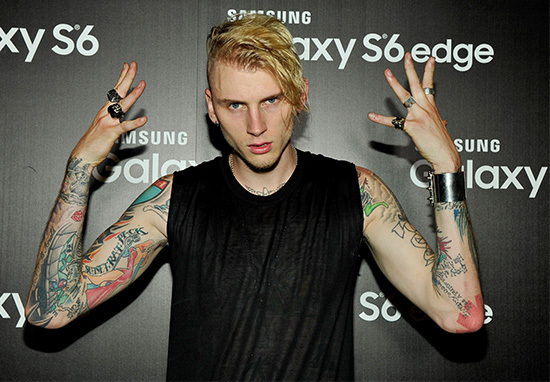 Make some noise for your f**king selves and make nothing for MGK. Kelly obviously heard about the names his enemy had been calling him, and couldn’t possibly let it go without taking a shot of his own. ay @Eminem u made the right decision not dropping that weak a** song in concert and putting everyone to sleep. #RapDevil. However, Kelly is only able to come up with this kind of measured and thought-out insult once given a chance to think about it behind the scenes. When he’s put on the spot, he’s not quite so literate. This became apparent recently when even the mention of Eminem’s name was enough to set MGK off. Have you spoke to Eminem since your guys’ beef? While the man was probably just hoping to get a good scoop of gossip, his question turned out to have disastrous consequences as the rapper suddenly scribbled across his signature and began hitting the page aggressively, no doubt destroying the hopes and dreams of his fan in the process. He then went to leave the scene but made an unfortunate blunder by trying to get into the wrong car; a move which somewhat ruined his dramatic getaway. I’m sure some Eminem fans will be quick to call Kelly out for the ungracious way he handled the situation. Observing the beef between the two rappers was all fun and games for fans before it started getting personal, but now it seems the 28-year-old is willing to take his hatred out on even his own fans. As for the fan who had their autograph destroyed, the page is probably worth even more now it’s part of a viral video portraying the feud, so at least there’s a decent silver lining.